Five World Series championships. Nine National League pennants. Honus. Maz. Clemente. Stargell. McCutchen. 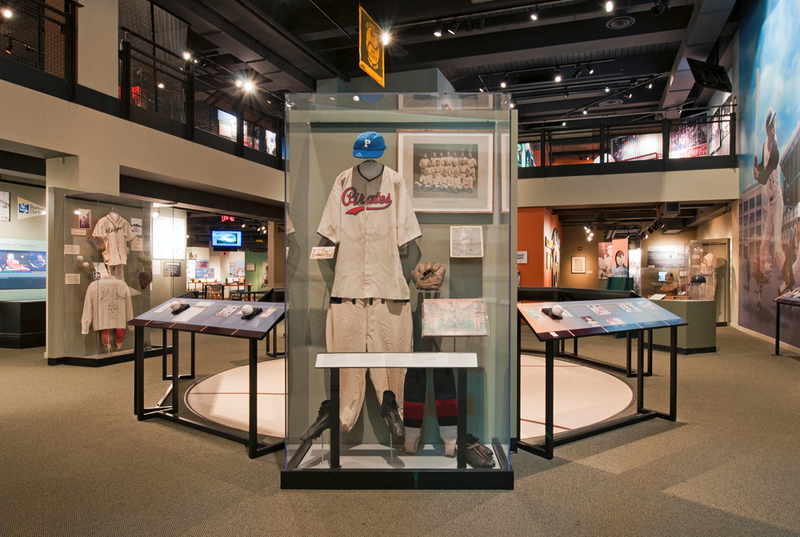 Baseball fans can relive their favorite moments in Pirates history at the Western Pennsylvania Sports Museum. Step up to the plate next to a two-story mural depicting Forbes Field, the Pirates’ home from 1909-1970. 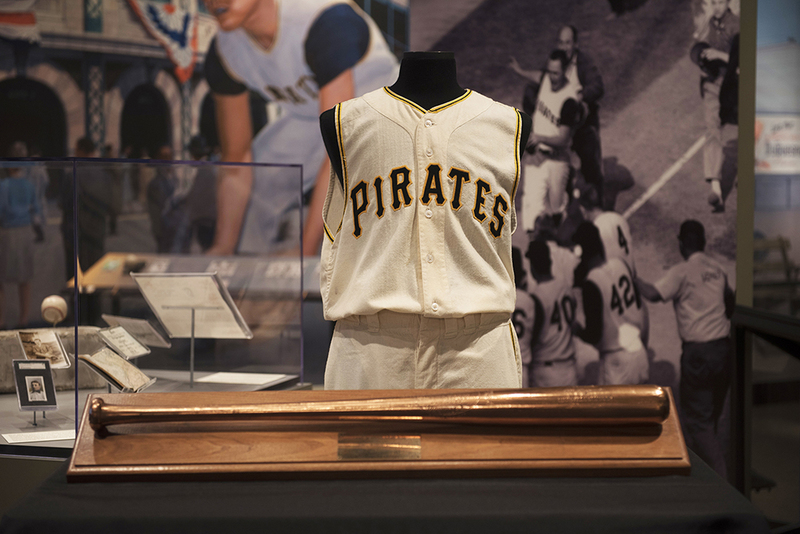 Discover the amazing stories of the Pittsburgh Pirates’ five World Championships with one-of-a-kind artifacts spanning more than 125 years of professional baseball. 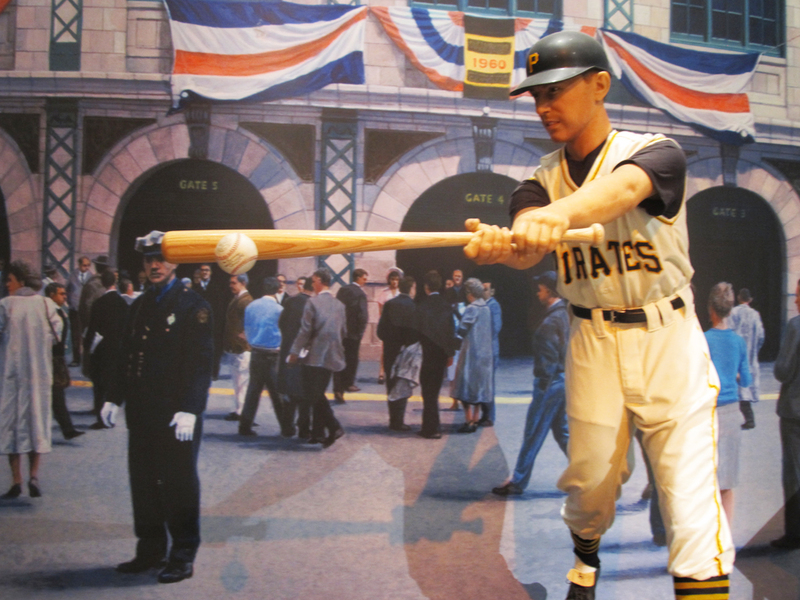 Search for your all-time favorite Pirates on the Sports Museum’s Wall of Trading Cards, featuring more than 1,000 baseball cards spanning from 1885 through the present day. The Home Run: Relive one of the greatest moments in Major League Baseball history – Bill Mazeroski’s Game 7 home run to clinch the 1960 World Series over the New York Yankees. 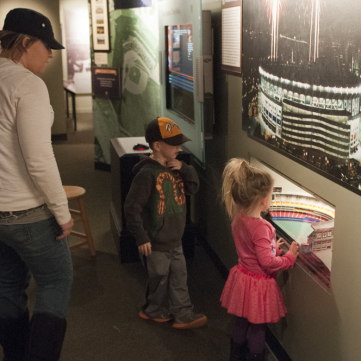 Feel goose bumps as you watch Maz’s round-tripper in the Sports Museum’s six-screen overture video room, see the Forbes Field pitching rubber and first base from Game 7, and pay your respects with a fan-made “death certificate” created for the 1960 Yankees. 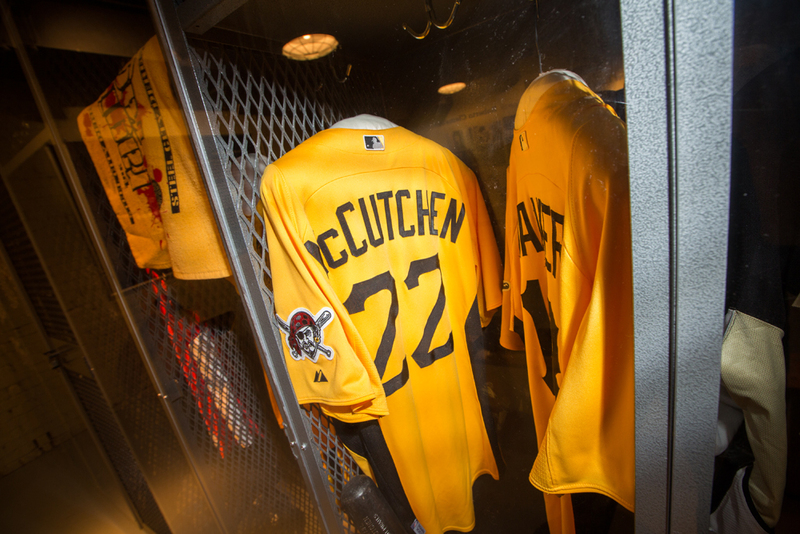 Get in the Game: View game-worn uniforms, gloves, bats, and other equipment from Pirate greats like Wagner, Clemente, Groat, Stargell, Bonds, McCutchen, and more. Play-By-Play: The first ever Major League Baseball radio telecast aired on Aug. 5, 1921, when KDKA broadcast a game between the Pirates and intrastate rival Philadelphia in Pittsburgh. 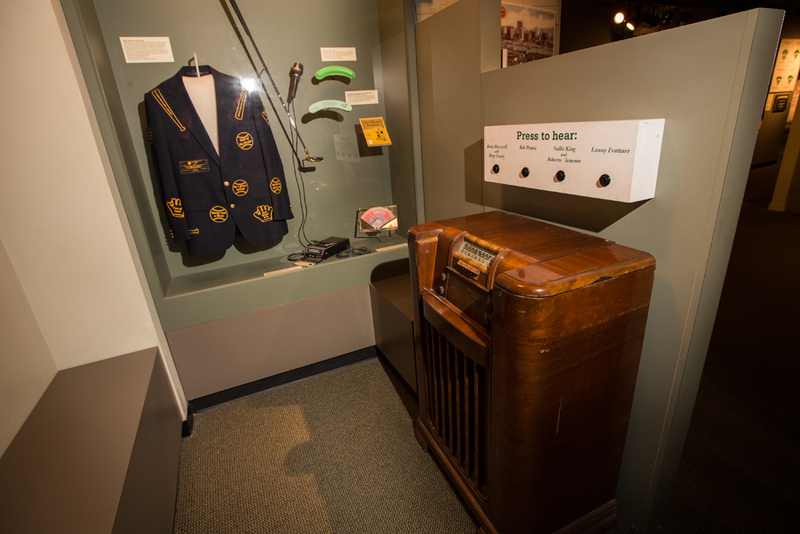 Celebrate Pittsburgh’s broadcasting tradition and listen to calls by legendary play-by-play announcers from Rosey Rowswell and Nellie King to Bob Prince and Lanny Frattare. Few players spend their entire career in one city and are as beloved as Willie “Pops” Stargell. His affinity for Pittsburgh began with his prodigious power hitting, which even spacious Forbes Field could not contain. He matured with Roberto Clemente’s tutelage and his ability to lead the team became as important as his offensive output on the field. 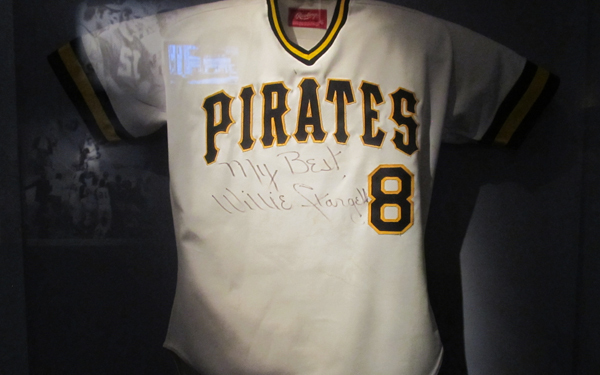 Stargell wore this jersey during the last year of his career, which he finished with 475 home runs and 1,540 runs batted in – both all-time Pirates records. Thanks to a generous donation from Alba and Thomas Tull, Bill Mazeroski’s iconic uniform and bat from Game 7 of the 1960 World Series will be exhibited at the Sports Museum. Maz’s bat and uniform will be immediately on view in the History Center’s fourth floor Special Collections Gallery, while it receives professional conservation treatment in preparation for its installation in the Sports Museum’s baseball exhibition. Learn about the Pittsburgh Pirates’ legacy on and off the field as part of these KQV Radio History Minutes recorded by History Center President and CEO Andy Masich. An all-time Pittsburgh Pirates great and one of the best all-around players in baseball history, hometown hero Honus Wagner set the standard for Major League shortstops. An all-time Pittsburgh Pirates great and one of the best all-around players in baseball history, hometown hero Honus Wagner set the standard for Major League shortstops. Described as bow-legged and barrel-chested, the “Flying Dutchman” developed into the game’s most skilled fielder at shortstop, with a strong throwing arm and all-around athleticism. Throughout his career, Wagner won eight batting titles, led the league in slugging six times, and in stolen bases five times. 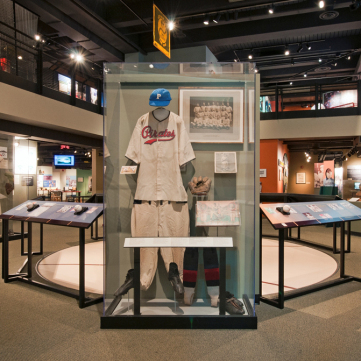 Pirates fans visiting the Sports Museum’s baseball section can see Honus Wagner’s 1938 uniform. 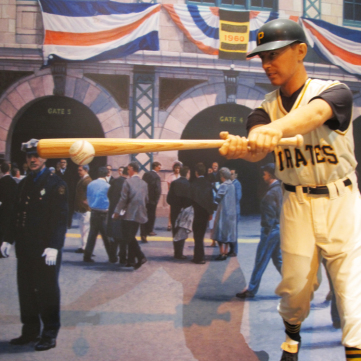 Don’t miss a lifelike museum figure of Pirates Hall of Famer Bill Mazeroski hitting the legendary Game 7 home run to beat the New York Yankees in the 1960 World Series. Bob Prince spent 28 years as the “Voice of the Pittsburgh Pirates” and was posthumously awarded the Ford C. Frick Award by the Baseball Hall of Fame as a broadcaster in 1986. 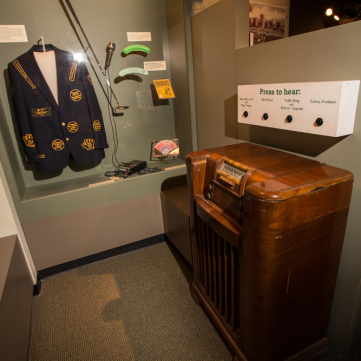 Visitors to the Sports Museum can see Prince’s jacket along with other items from Pirates’ broadcasters. 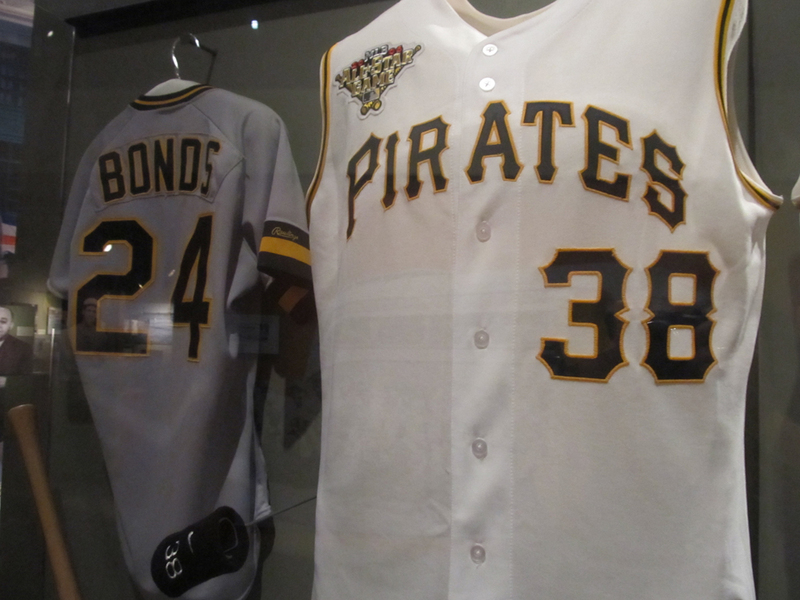 Pirates fans can see game-worn jerseys. 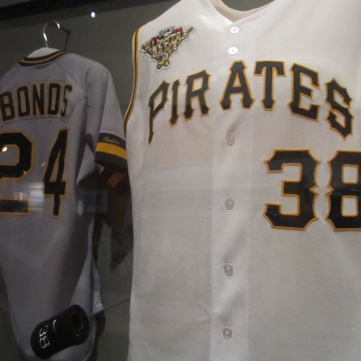 Pirates fans can see game-worn jerseys, like these uniforms from Barry Bonds and Jason Bay, as part of the Sports Museum’s baseball section. Explore a 3-D model of Three Rivers Stadium. 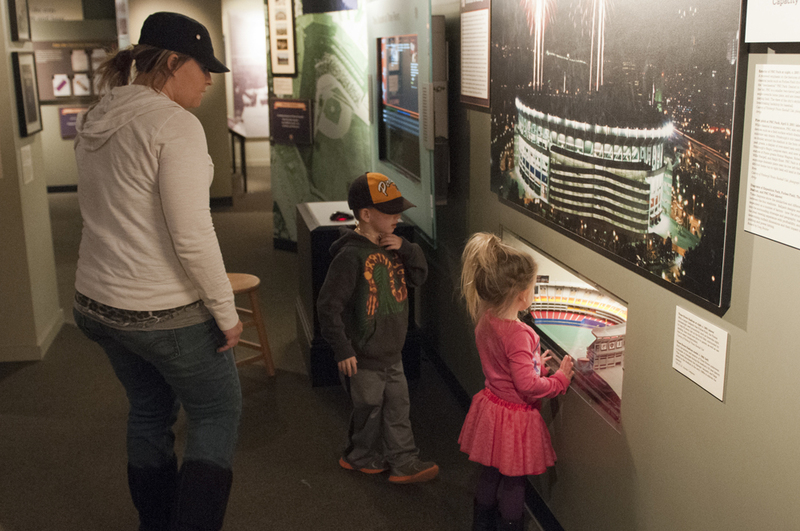 Young fans explore a 3-D model of Three Rivers Stadium in the Sports Museum’s baseball section. 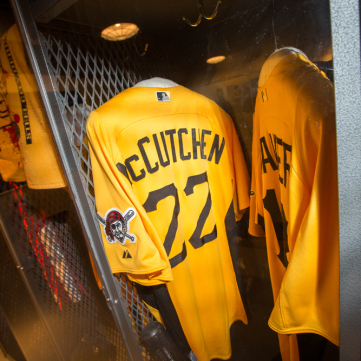 Drafted by the Pirates in the first round of the 2005 MLB Draft, McCutchen has developed into a superstar, winning the 2013 National League Most Valuable Player Award.